We found good deals for $500 or less. When you’re looking for a good, cheap laptop, knowledge is power. Every budget machine (which we’re defining as Windows laptops costing $500 or less) is the product of compromise—corners carefully cut here and there to hit a price point. Your job is to find the one that checks off the most boxes for your needs. We’ll show you what to look for by highlighting which budget laptops among the best-sellers currently listed at Amazon and Best Buy are worth buying. We haven’t necessarily tested these specific machines (we’ll let you know if we have), but we’ve seen enough similar ones to have a good idea of the pros and cons. We’re also focusing on 14-inch and larger laptops, because part of the great deal should be getting a decent-sized display. 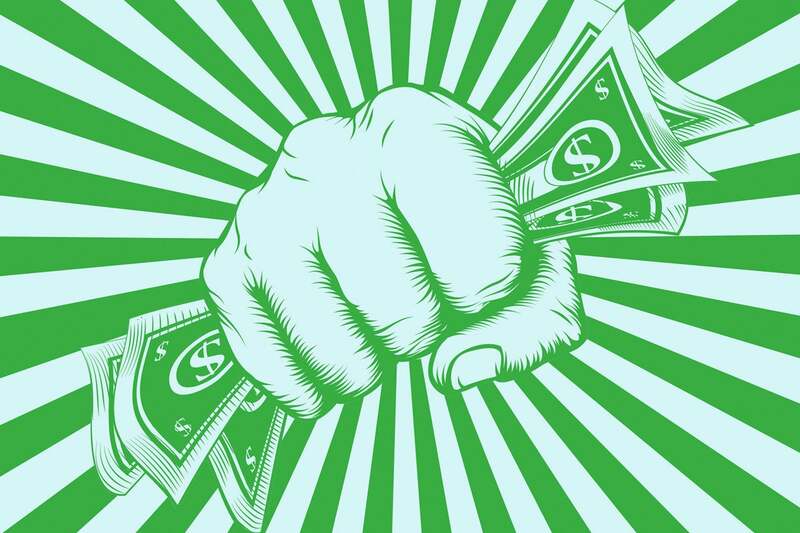 It’s clear why this one’s been on top for a long time—you get a fair amount for the money. (See our review of the latest model.) What’s nicest is the large, high-resolution display, a rarity in this price range, even if the brightness is mediocre. It’s also nice to see an 8th-generation CPU in this bargain box, rather than a leftover from a prior era. Add to that the large hard drive and the 10-key keypad, and there’s a lot to like. It is very heavy, though. An ease-of-use note: The DVD-RW drive takes up most of one side, crowding most of the ports onto the other side. This could become annoying if you’re trying to hook up a lot of devices at once. 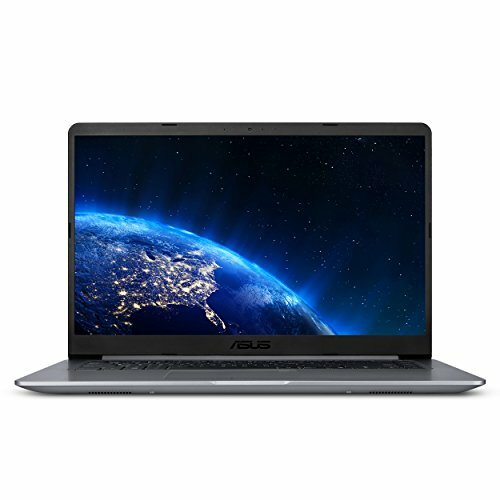 The Asus VivoBook F510UA caught our eye because you don’t normally see a laptop with specs this nice in the budget price range. (The official price is much higher.) The 1080p touchscreen is likely the lower-end of two options Asus offers (the other has a wide 178-degree viewing angle), but the resolution and touch capability are still good perks. The full 8GB of RAM is notable given that many budget laptops have just 4GB or 6GB. The narrow bezels add refinement to the design and allow the large screen to fit into a slightly smaller chassis. The weight is reasonable. Despite the slender profile you still get a good helping of USB-C and USB-A ports, plus full HDMI. The only noteworthy thing missing compared to others in this price range is a 10-key numeric keypad. 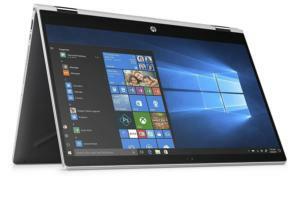 The Pavilion x360 15-cr0037wm is one of several low-end HP’s you’re likely to see on Amazon’s bestseller list. This one seems to offer the best bang for buck, even with a few compromises. Its 8th-gen Intel Core processor is the lowest-end dual-core model, but still a step up from the 7th-gen Core or Pentium and Celeron CPUs you'll see on other low-cost systems. It has meager RAM, but cutting-edge Optane Memory to make your hard drive feel faster. 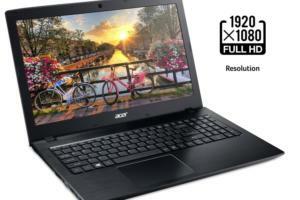 Its display is Full HD (1920x1080), when most bargain laptops offer mere HD (1366x768). The touch capability, 360-degree hinge, and included pen are also hard to find in this price range. Note that there's no ethernet, however, and battery life is a brief 7 hours. Display: 15.6-inch diagonal width, 1920x1080 resolution, touchscreen. HP Digital Pen included. Yes, this mid-range model of Acer's budget Aspire E15 line is a little thicker and heavier than an ultraportable, and we wish its 15.6-inch display were brighter. 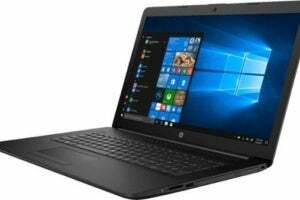 But it delivers supple performance courtesy of its quad-core, eighth-generation Intel CPU, plenty of ports for everyday users, a discrete graphics card for casual gaming, and even a DVD drive. That's a great value, even if it means toting around a couple extra pounds. We tested the $600 version of the Acer Aspire E15 (E5-576G-5762), which packs in an 8th-generation, quad-core Intel Core i5-8250U processor, a 15.6-inch 1920x1080 display, 8GB of DDR4 RAM, a 256GB solid-state drive, a discrete Nvidia GeForce MX150 graphics card, and yes, an 8X dual-layer DVD-RW optical drive. That all adds up to a reasonably powerful productivity-minded laptop that can do a little gaming on the side. This laptop caught our eye because its AMD A12 mobile CPU is about equivalent to Intel's lower-end 7th-gen Core mobile chips—in other words, it's a competent processor for mainstream tasks. It comes with a USB-C port, whereas some other budget laptops stick with USB-C. The numeric keypad is handy. It's big and heavy, though. 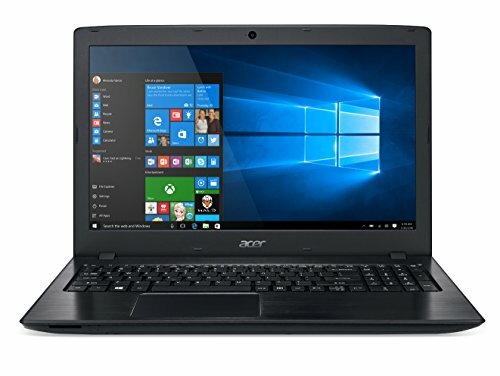 This laptop is on sale and a real steal, because its AMD A12 mobile CPU is about equivalent to Intel's lower-end 7th-gen Core mobile chips (so it's a competent processor for mainstream tasks). It comes with an SSD, though on the small side. In other ways it's almost adorably retro, with a VGA port and three USB-A ports, but no USB-C. The numeric keypad is handy. The laptop is big and heavy, though. This 15.6-inch laptop is a pretty good desktop replacement for everyday home or student use. It's full-featured, if not exactly advanced. Its most notable feature is its Ryzen 2200U processor. This dual-core, four-thread chip comes with AMD’s Radeon Vega 3 integrated graphics. It can play mainstream PC games, albeit at lower settings, which is all you’d want to do on the basic, 1366x768 screen. The other features are traditional. The 8GB of RAM is a generous amount for the price, and the 1TB hard drive is roomy but not that fast. You get three USB-A ports, but no USB-C. The numeric keypad is handy. The laptop is big and heavy, and battery life is average. 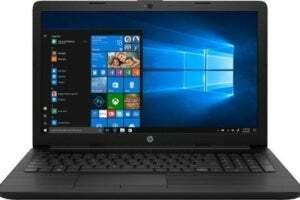 It's very rare to see a 17-inch laptop in this price range, but Best Buy's running a $100 discount. Even though it lacks advanced features like an SSD or USB-C, it's still a well-equipped desktop replacement for most mainstream uses. Just remember it's heavy and big, so not ideal for toting every day. You could argue the Surface Go is a tablet rather than a laptop, but once you add the optional keyboard it's a nifty little productivity machine for an affordable price. It runs Windows 10 S, which gives you Windows productivity with a lighter touch so it doesn't weigh down performance (but you are limited to Windows Store apps). 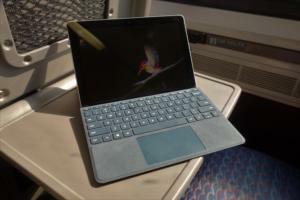 We reviewed the higher-end Surface Go with more memory and better storage, but that's not budget. The entry-level model is just $400, and a $99 black Type Cover will have you squeaking in right at $500 total. CPU: You should expect to see lower-end dual-core Intel Core processors, and a sprinkling of AMD’s older mobile CPUs (not the company’s latest and far more interesting Raven Ridge mobile processors). Those older AMD parts tend to perform badly compared to their Intel rivals, so manage your expectations (and stick to basic computing needs). Memory: You’ll see 4GB or 6GB of RAM, but try for 8GB if you can, so you can run more applications or browser tabs simultaneously. Storage: You’ll see a lot of hard drives and some lower-capacity SSDs. If you’re on a budget, a slow hard drive with greater capacity could be a better deal than a fast SSD that’s barely got room for the operating system and a few applications. Display: Display quality is one area where vendors often skimp to hit a price point. Do your best to balance size with resolution. An HD resolution of 1366x768 suffices for an 11-inch or 13-inch display, but starts to look grainier (albeit still usable) on 14-inch displays and upward. You won’t always see a maximum brightness spec, but we consider 250 nits to be a reasonable level. Anything less will limit your ability to work in brighter environments (let alone outdoors). Viewing angles could be limited, which is tolerable unless you want to share your screen. Graphics: Expect integrated graphics that will manage everyday imagery well, but not gaming or other graphics-intensive tasks. 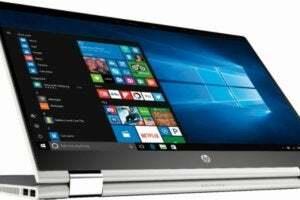 Connectivity: Good news: The bulkier laptops you often see in this price range have plenty of room for ports. You should see USB-A ports, but note that those using the USB 2.0 spec are more limited in capability than those using the USB 3.0 spec. You might not see USB-C, full HDMI, or ethernet, but we look for models that have those ports. 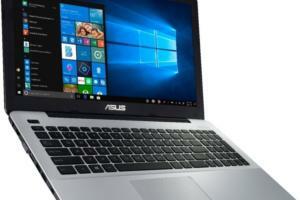 Dimensions and weight: Many cheaper laptops are larger, heavier models. Anything over 3.5 pounds may not be something you’ll want to carry past the living room. 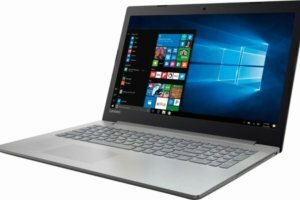 After seeing what’s popular among cheap laptops, you should have enough knowledge to shop for yourself. Keep in mind your priorities, whether it’s display size, storage capacity, weight or more, and you should be able to find a good deal. This article was originally published November 14, 2017, by Gordon Mah Ung.